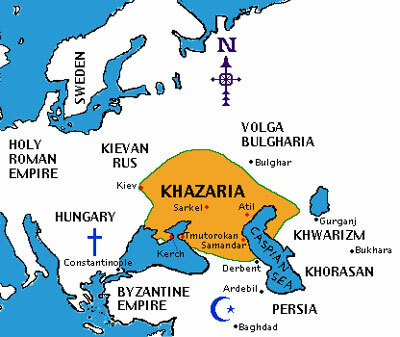 Who are the Khazarian Mafia? Read here for more info. WASHINGTON, DC – This week, U.S. Senator Amy Klobuchar is in Ukraine, the Baltic states, and Georgia to reinforce support for the North Atlantic Treaty Organization (NATO) and to focus on mounting international cybersecurity problems. The bipartisan congressional delegation is being led by Republican Senator John McCain from Arizona, the Chairman of the Senate Armed Services Committee, and also includes Klobuchar and Republican Senator Lindsey Graham of South Carolina. “Our allies in eastern Europe, including Ukraine and the Baltic states, deserve our support in the face of Russian aggression,” said Klobuchar. “Senator McCain, Senator Graham, and I are reinforcing our bipartisan commitment to strengthening our NATO alliances and are focused on major cybersecurity breaches which are of utmost importance as we learn of the depth of Russian interference in our recent election." The senators are in Estonia, Latvia, Lithuania, Ukraine, Georgia, and Montenegro to meet with U.S., NATO, and other foreign officials. They are meeting with the president and/or prime minister in every nation. During the trip, the senators will reaffirm a bipartisan commitment to U.S. allies and partners, and discuss topics of importance in the region including the ongoing conflict in Ukraine in which 10,000 people have died since Russia illegally annexed Crimea. Klobuchar is the incoming ranking member of the U.S Senate Committee on Rules and Administration, which oversees federal elections. She also serves on the Senate Judiciary Committee. Minnesota has a significant Ukrainian and Eastern European population.